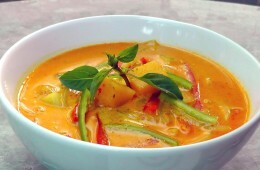 Malaysian Pumpkin Curry	No ratings yet. 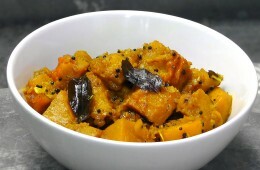 A very flavorful Pumpkin Curry, which is influenced by Indian Cooking. Just perfect to make if you have some Pumpkin leftovers. This is a easy and nutritional side dish or it can also be eaten with just Rice or Bread. 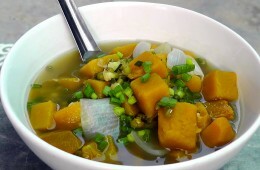 Vietnamese Pumpkin Soup with Mung Beans	No ratings yet.